EPW023414 ENGLAND (1928). 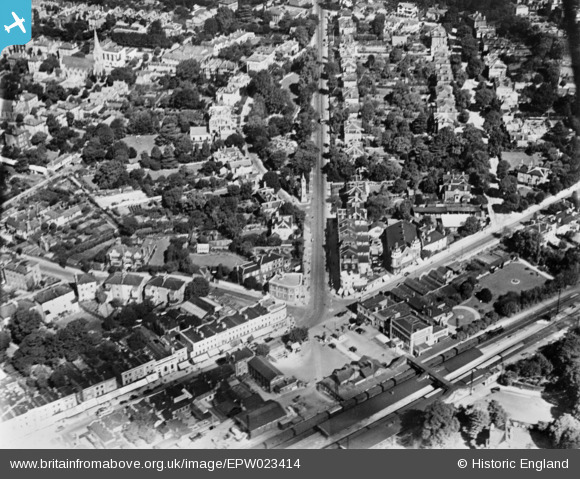 Station Approach and Claremont Road, Surbiton, 1928. This image has been produced from a copy-negative. Title [EPW023414] Station Approach and Claremont Road, Surbiton, 1928. This image has been produced from a copy-negative. Parcels train hauled by a 4-4-0 steam loco.